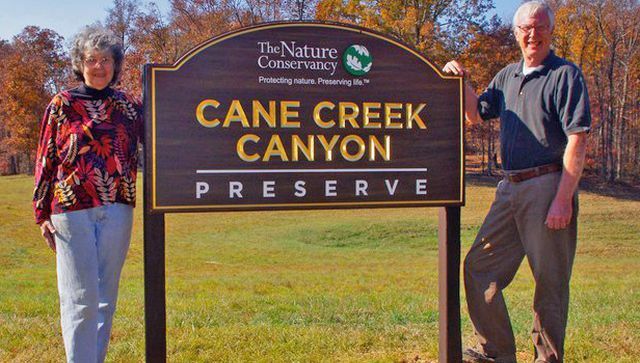 Charles Yeager, Manager of Turkey Creek Nature Preserve, in the heart of the Birmingham, explained how this inter-city preserve had been abandoned by all and utilized by gangs who drove their cars into the river to wash them. When the land was at its bleakest point, the city proposed building a prison on the site. But to the local residents, this was the last straw. They rose up, banded together and demanded the city preserve it. Today, it is a beautiful urban renewal project, much loved and used by the local residents. As we ventured north from Birmingham, the terrain became more rugged, sporting steep canyons with gorges sliced by rivers and streams. We climbed the mountain in Cheaha State Park, the highest point in Alabama. On to Huntsville where the US Space and Rocket Center is located, the sister facility to Cape Canaveral, and Wheeler National Wildlife Refuge, a 37,000 acre preserve for migrating birds, established by FD Roosevelt. Just to the east is Scottsboro and underground is one of the most beautiful caverns in the United States. Cathedral Caverns State Park has some of the largest chambers in a cave system that I’ve ever seen. 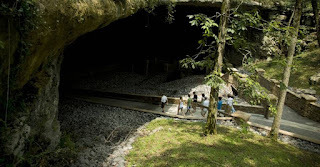 One stalagmite is the size of a school bus and bears witness to the earthquakes the region has recently endured. As we fanned over to the northeast corner of the state we crossed a national preserve, part of the US National Park System. Cousin to our western parks, and equally impressive, the LittleRiver Canyon National Preserve sports a river flowing atop a mountain. 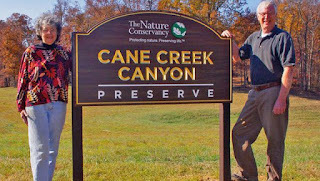 The steep canyon walls, appropriately named "Little River", are the most extensive canyon and gorge system in the eastern United States, and habitat for the carnivorous green pitcher plant and Kral’s water plantains. 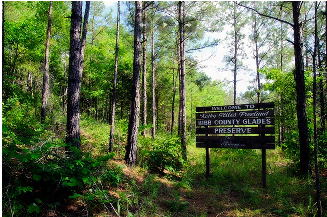 If this intrigues you, stop dreaming, and join FNPS on a tour of Northern Alabama, April 17-22nd. We will learn more about Alabama native plants, meet the local native plant enthusiasts, learn what inspires them, and discover a world beyond Florida’s borders. 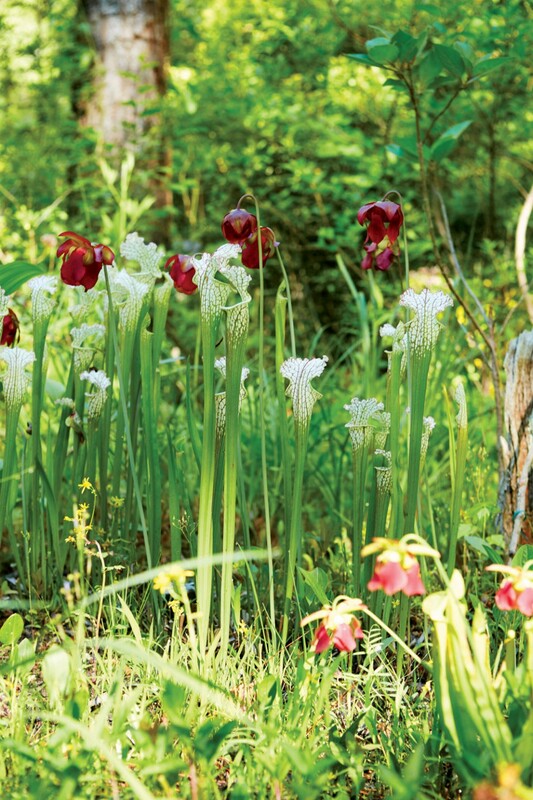 Plan to meet Linda and other members of the Alabama Wildflower Society, walk the woods of a Benedictine Abbey, and seek out native trilliums and wild orchids. Check out the itinerary, register, mark your calendar and pack your bags for north Alabama! For questions, call Devon at 813-478-1183. This trip sounds great! I definitely want to go. 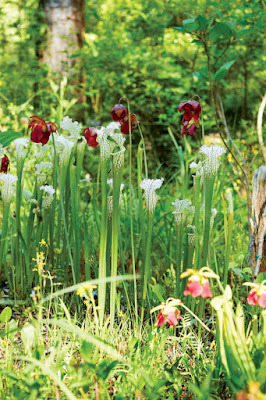 To learn more about Alabama's plants, visit http://www.floraofalabama.org. This website will look familiar, as it was developed by USF and was based on its Atlas of Florida Plants. We (USF) are working on a companion AL butterfly atlas which will have flight data and link to the Flora of Alabama atlas's nectar and larval plant species pages.